As much as America loves its cheese, there are approximately 1.4 billion pounds of excess American, cheddar and other kinds of cheese piling up in cold storage facilities across the country, breaking records since federal record-keeping began nearly a century ago, according to NPR. Producers fear the stockpile could continue to grow unless the market changes, raising the risk of even more dairy farmers going out of business. In 2017 alone, hundreds of farmers in Wisconsin were forced out of business because they couldn’t turn a profit. Americans on average consumed nearly 37 pounds per capita in 2017, but it incredibly didn’t make a dent in the nations stockpile. 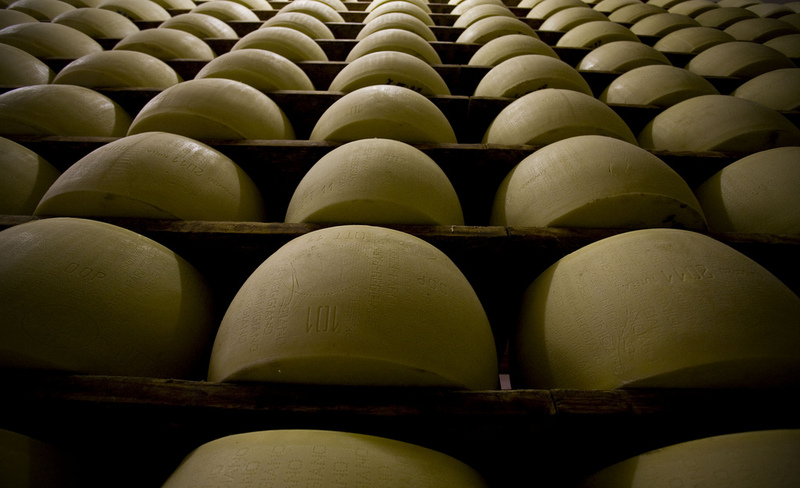 This mountain of cheese has been several years in the making as the production of milk began to surpass the rate of consumption and suppliers opt to turn the excess milk into cheese since it stays fresh longer and offer additional chances to profit from production. Even though cheese may extend the life of milk, it still has a limited shelf life, and if it spends too many weeks in cold storage it loses value and eats further into profits. It really doesn’t help that more consumers are becoming more health conscious and avoiding processed cheeses and in turn buying more exotic and specialty cheeses, which the majority are made outside the United States and are therefore more expensive, so consumers are buying less cheese in general. Additionally, trade relations abroad have become tense, and retaliatory tariffs have not made things easier for suppliers’ efforts to turn a profit — especially because suppliers were already producing an excess of cheese. Analysts worry that continued trade disputes with other nations could really harm the dairy industry as year-over-year shipments to both China and Mexico have declined — China by 63 percent and Mexico by 10 percent, the Wall Street Journal reports. However according to the U.S. Dairy Export Council, which tracks these statistics, exports of American dairy products amount to only about 6 percent of our cheese.